Nothing welcomes the return of the NBA better than cricket tacos. That's at least the sentiment behind the newest addition to the Atlanta Hawks' concession stand, which appeared during the team's home opener against the Denver Nuggets on Friday night. In a move that would surely attract the likes of Andrew Zimmern to Phillips Arena, the Hawks' insect-laden tacos made their debut thanks to Aketta, an Austin-based company that raises the crunchy insects and then sells them to people who are into that sort of thing. 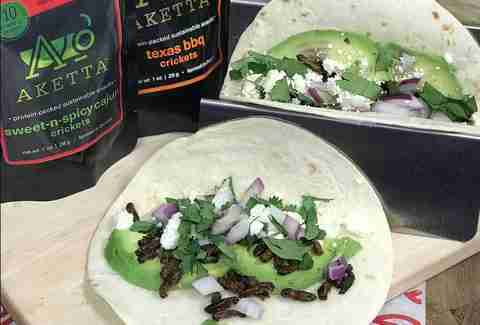 On its website, Aketta describes its product as "a source of high-quality protein," and says the "warm, earthy, nutty flavor" of its roasted crickets taste great when spread over a salad or pizza. Pepperoni, bell peppers, mushrooms and all the toppings of yesteryear might just be kaput, thanks to crickets. The trio of Cajun-flavored cricket tacos sells for $12 at a taqueria in Philips Arena, and comes with onion, cilantro, avocado, and queso, according to Sports Illustrated. Another concession stand at Philips Arena will sell a one-ounce bag of sweet and spicy-flavored crickets, so you can munch on insects as you would popcorn. The Hawks, who've come to bear an association with crickets for the first time in franchise history not due to the low-decibel level of fans, but because of tacos, are following in the tradition of MLB team the Seattle Mariners, which also sells a hugely popular cricket dish at their stadium. 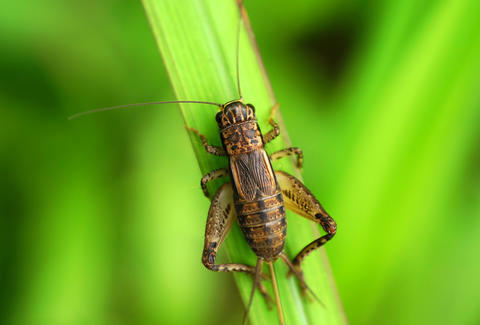 Whether or not cricket tacos spread like their uglier locust cousins to sports stadiums across the country will definitely be determined after the Atlanta experiment. In the meantime, you could always make your own cricket tacos, as the main ingredient is usually readily available after dark.